Pram decoration Caterpillar is baby’s very favorite traveling companion when riding in the baby carriage. 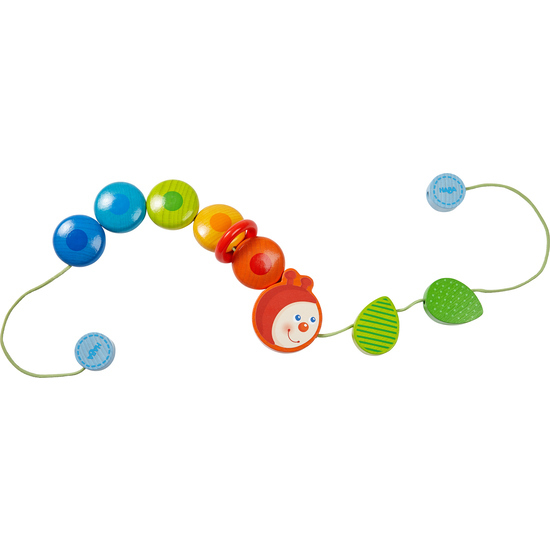 Colorful wooden beads catch babies’ eyes, inviting discovery. Keeps baby entertained even on longer walks.